As an Arab Palestinian citizen of Israel, I won’t serve as a fig leaf for a democracy in name only. I refuse to vote in today’s elections. I have no reason to be optimistic about the future of Palestinians in Israel. From the systemic disenfranchisement of Palestinian citizens inside the country to the constant displacement of Palestinians in the West Bank and Gaza, from the daily oppression of those living behind its apartheid wall to the routine humiliation of those living under its apartheid laws — not to mention the hundreds of thousands of Palestinians living in a stateless limbo in East Jerusalem — Israel continues to brazenly deny us our basic rights. Netanyahu wasn’t wrong: the notorious Jewish Nation-State Bill declares Israel the “national nation-state of the Jewish people only,” officially designates Arab Palestinians — more than 20 percent of the country’s population — second-class citizens. The bill, which took effect last year, makes explicit what Israeli leaders have tried to mask for decades: Israel is a democracy only for its Jewish citizens. Netanyahu’s inflammatory rhetoric has been a constant this election season. Early last month, he proclaimed on Twitter that Arab parties “who support terrorism will not be in the Israeli Knesset!” Failing to heed his own anti-terrorism proscriptions, Netanyahu allied himself with the racist, far-right Otzma Yehudit (Jewish Power), which consists of acolytes of the late Meir Kahane, who advocated forcibly moving Palestinians to neighboring Arab countries and whose Kahane Movement even the US government considers a terrorist organization. In a final bid to gin up support, Netanyahu vowed over the weekend to annex Israeli settlements in the West Bank if he is reelected. Netanyahu’s fear-mongering suggests that he detests the very idea of universal suffrage. But how can this be surprising? For almost half a century, Israeli leaders have supported the settlement of Jewish citizens on land populated by Palestinians — who, unlike the settlers, enjoy hardly any rights, including the right to vote for a sovereign parliament. Palestinians in Israel have hardly fared any better. For decades, senior Israeli politicians have portrayed Arab citizens as enemies from within, a demographic time bomb, and a fifth-column population. The so-called Lieberman Plan, first advanced in 2004 by former foreign minister Avigdor Lieberman, proposes transferring territory in Israel populated by Arabs to the Palestinian Authority in exchange for territory in the West Bank populated by Israeli settlers. Lieberman has also suggested imposing loyalty tests for the Arab minority, threatening to deny citizenship to those who failed. 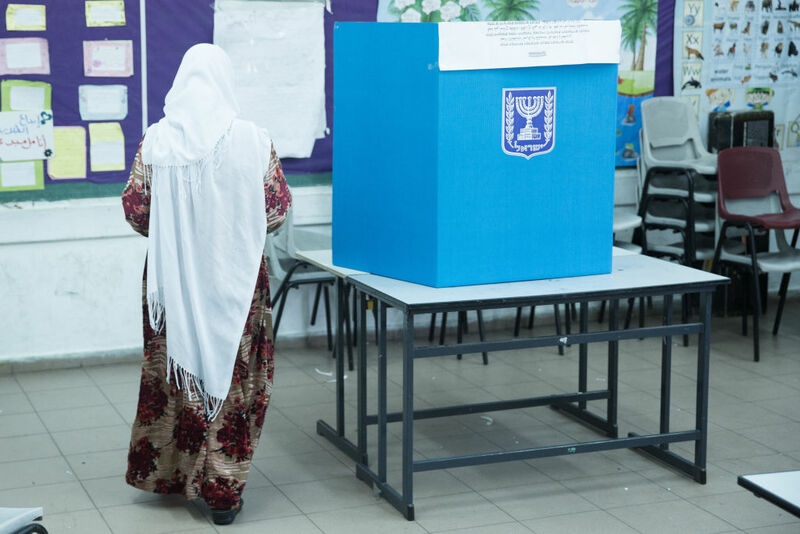 Arab disenfranchisement in Israel goes beyond the Nation-State Law. Adalah, the Legal Center for Arab Minority Rights in Israel, counts more than fifty basic laws that disenfranchise and discriminate against Arab citizens. Together, they bear a striking resemblance to the Jim Crow South, where black political participation was treated as an existential threat. This comparison is even more poignant considering that at the same time black Americans were fighting to uproot segregation, Arabs in Israel were living under what was known as the Military Government (1948–1966). Not to be confused with the post-1967 military occupation and Israeli settlement in the West Bank and Gaza Strip, this regime of martial law suspended most of Palestinians’ civil rights and legal protections. And in shades of Civil Rights–era red-baiting, Zionist parties, including those affiliated with the ruling MAPAI party, warned Arab voters not to cast their votes for the Arab Communist party (RAKAH), the only political party representing the Arab minority in Israel at the time. Is it any wonder that many Palestinian Arabs continue to view their Israeli citizenship as a mere political fiction? Unfortunately, it hardly matters who prevails in today’s elections. None of the leading candidates has a program for peace. None seeks to end the occupation, let alone the blockade over Gaza. All have committed to maintaining the illegal Jewish settlements in the West Bank and East Jerusalem. And all have vowed not to sit in a government coalition with an Arab party. Why should Arab Palestinians lend their imprimatur to an election that will only elevate those who would exclude them from political power? Not since 1949 has an Arab party even sat in an Israeli government. Whether or not Netanyahu wins today, Israel’s trajectory is clear: more settlements and annexation of Palestinian land across the border, fewer civil and democratic rights for Palestinian citizens inside, and continued demonization of Palestinians everywhere. Israel proudly proclaims itself as the “only democracy in the Middle East.” But in the end, elections in a democracy where only one group of people enjoys full democratic rights are nothing but a fig leaf for apartheid. Seraj Assi is the author of The History and Politics of the Bedouin . He is a visiting fellow at Georgetown University.